Taking your credit cards with you on your next overseas trip can make traveling easier. You don't have to carry as much cash or get foreign currency you may not use, and you'll have a record of all your purchases. Most major credit cards are accepted worldwide, and in many countries credit cards are widely accepted. 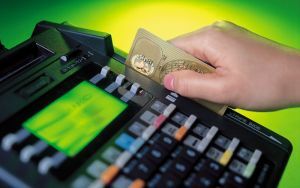 If your credit cards are lost or stolen and used by a thief, you generally cannot be held responsible for more than $50 in fraudulent charges. That makes carrying credit cards safer than carrying a lot of cash. Some credit card companies will replace your cards if they are lost or stolen while you're traveling! HOW MANY CARDS SHOULD YOU CARRY? Two major credit cards will be enough for most people, although you may want to carry more on a long trip or you plan to spend a lot. Leave behind any cards you won't be able to use in other countries, such as your local department store cards. It's a good idea to keep your cards separated in case you loose one you always have the other one. When you make a purchase overseas, the credit card sales slip will usually be written in the currency of that country rather than U.S. dollars. Check your sales slip before you sign it to make sure you are being charged the correct amount. In many countries, periods are used instead of commas in numbers. Your credit card company will convert the charge to U.S. dollars before it appears on your statement.